$39.99 In stock. Order in the next 8 hours, 8 minutes and it will go out today! We like this a lot. Unfortunately, the video doesn't show a full performance, but take it from us at Vanishing Inc. that this is a great, versatile prop. The "secret device" needs to be fitted to your clothing, a little like you would with a Topit (but it's not a Topit) and can easily be transferred to other clothing items. It then allows you to control one or multiple cards while the spectator shuffles the deck. 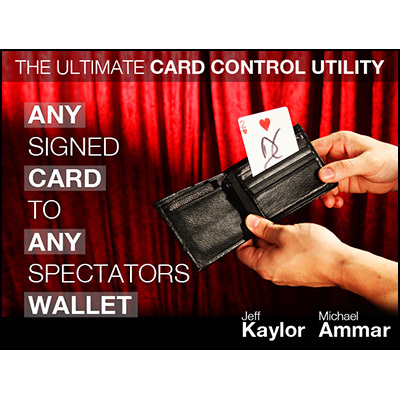 The cards can be produced from the deck, or found in virtually any impossible location, such as the spectators wallet.